According to Ocean Conservancy, scientists estimate that more than 8 million metric tons of plastic is entering our ocean every year. At this rate, within a decade, our ocean would be filled with one pound of plastic for every three pounds of fish. While the need to reduce the amount of trash in the ocean is abundantly clear, the problem is complex. As we have witnessed time and time again at SecondMuse, scaling solutions to problems like the ocean trash dilemma takes serious teamwork. 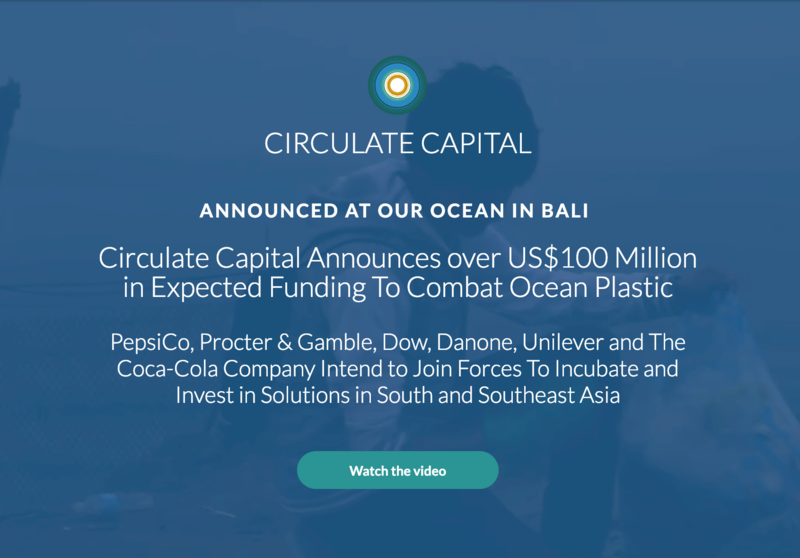 Through a new collaboration with Circulate Capital, Ocean Conservancy, WeWork Labs India and McKinsey.org, SecondMuse is building The Incubator Network, ecosystems of waste management and recycling innovations to increase the quality and quantity of problem solvers working to reduce trash in our ocean. The Incubator Network builds on recent work by SecondMuse to accelerate innovative solutions in support of ocean health, particularly in Asia and Australia. This has included the Blue Economy Challenge and subsequent Aquacelerator, an effort led by the Australian Government’s Department of Foreign Affairs and Trade’s (DFAT) innovationXchange (iXc) to revolutionize the aquaculture industry, develop local economies across the Indian Ocean region and improve our relationship with oceans, fishing and aquatic life. More recently, this has included Out of the Blue Box, an innovation challenge and collaboration between Great Barrier Reef Foundation, University of Queensland, SecondMuse and funded by Tiffany & Co Foundation to strengthen the recovery of Australia’s iconic Great Barrier Reef. The Incubator Network’s first project, the Surabaya Ocean Plastic Prevention Accelerator (OPPA), is also supported by the Australian Government’s Department of Foreign Affairs and Trade. In the spirit of collaboration championed by SecondMuse across all of our programs, this new initiative looks to leverage a diverse range of partners to provide incubation, technical assistance and capacity building. For more information on The Incubator Network by Circulate Capital and SecondMuse, visit circulatecapital.com/incubator.